I loved Jennifer E. Smith’s The Statistical Probability of Love at First Sight and This is What Happy Looks Like, so I was so excited to be able to read Hello, Goodbye, and Everything in Between. Whereas the previous books mentioned were cute and made me smile in the way only “first love” reads can do, Hello, Goodbye and Everything in Between was a little bit different. 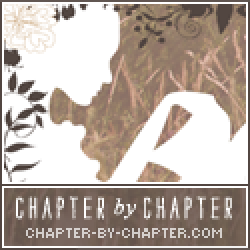 The book spans one (1) day and follows main characters Clare and Aidan as Clare takes them down memory lane (of sorts) and revisits numerous places where they’ve had their “firsts”. First kiss, first glance, first words…you get the idea. But amidst all this, Clare and Aidan know that tonight will also be the night that they are going to break up. Both heading off to college with thousands of miles between them, they know that the reality of a “long distance relationship” just won’t work. Clare knows it’s what needs to be done to allow them both to grow as individuals, but Aidan has a different agenda. He knows with all his heart that Clare is the one for him, and doesn’t want to follow through with her crazy plan of ending things between them. Not only do these two love birds have to deal with whatever the outcome will be, secrets start coming out that only helps to solidify the final decision. Will their walk down memory lane remind them of their love and strengthen their bond? Or will they be able to walk away from something that might change the course of their lives forever? So, going into Hello, Goodbye, and Everything in Between, I was expecting something that would make me feel giggly and was looking forward to a feel good about young love type of read. This really wasn’t the case. Although a really good read, it was kind of a heartbreaking kind of read too! To have to witness two people who are so obviously meant to be together having to decide that they NEED to break up in order to grow. To witness the obvious pain that Aidan is feeling when he does not want things to end between them, and to hear Clare mention over and over again that it was almost time…the clock is ticking…blah blah blah. And then, Aidan goes nuts! He does things totally out of character because, what, he’s dealing with some crappy cards dealt to him? It was like a complete reverse-o. First, he’s all sweet as honey, and then the next, he’s fighting his bff because they aren’t going to be in college together (oh master plans, how you create so much drama…). And don’t even get me started on Clare. I felt she thought she was so high and mighty above everyone else. It annoyed me to no end that she expected everyone to sympathize with her upcoming pain with breaking up with Aidan, when she doesn’t even realize that her bff is going through stuff too! Hellooooo it was so obvi to me, and I hardly knew the chick. Boo hoo, I’m breaking up with my boyfriend probably, maybe, possibly. Feel my pain because it’s more important than your pain, even though you’re also leaving for college but wahhh my stuffs more important. Puh-lease…phew! Rant over friends. Argh, she frustrated me. But like I’ve said before, if an author can get so much emotion out of the reader with their written words, then of course it’s a good book! Duhr! 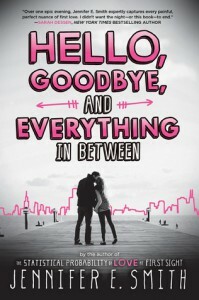 All in all, Hello, Goodbye, and Everything in Between by Jennifer E. Smith is definitely worth the read. If you’re a fan of her work, you’ll enjoy the different type of book this one is. Absolutely it’s about growing up and dealing with difficult decisions…something that we all have to deal with eventually.